It’s fall and the holidays are around the corner and your calendar is about to become pretty full with obligations and gatherings. As fun and joyful as this season is, this is also the season of the germs! Fall and winter unfortunately bring their own visitors to everyone in the form of germs that continually make their way into people’s homes. They make us miss school, miss work and holiday parties and they make us feel awful. Sometimes it seems that no matter what you do that you can’t just stop it. In 2017 our family was not as on top of our health game. Even though we had essential oils in our home, we didn’t use them nearly as much or as routinely as we should have. When you’re a mom, it can be difficult to add things to your routine. In 2017 we experienced the flu, pneumonia, strep and never ending colds. It was awful. By 2018, I had learned a few good tricks and more to help protect my family as best as I could. Thankfully all that entered our home was runny noses and coughs. While the things we do like good supplements and essential oils are not magic pills that will NEVER let you catch anything, they surely will do their best to improve your immune health to keep you from catching all the germs and to help support you faster if you do. A good immune system goes well beyond just using some Thieves oil. To be honest, I am still trying to educate myself on it. However since we are entering the season of the cooties, I figured it was a great time to talk about how we guard ourselves and especially our children. Elderberry. This is huge! If you have social media, you likely saw all of the posts last year that floated around about elderberry. Elderberry is excellent at helping to boost immune support AND to actually help people who have the flu. 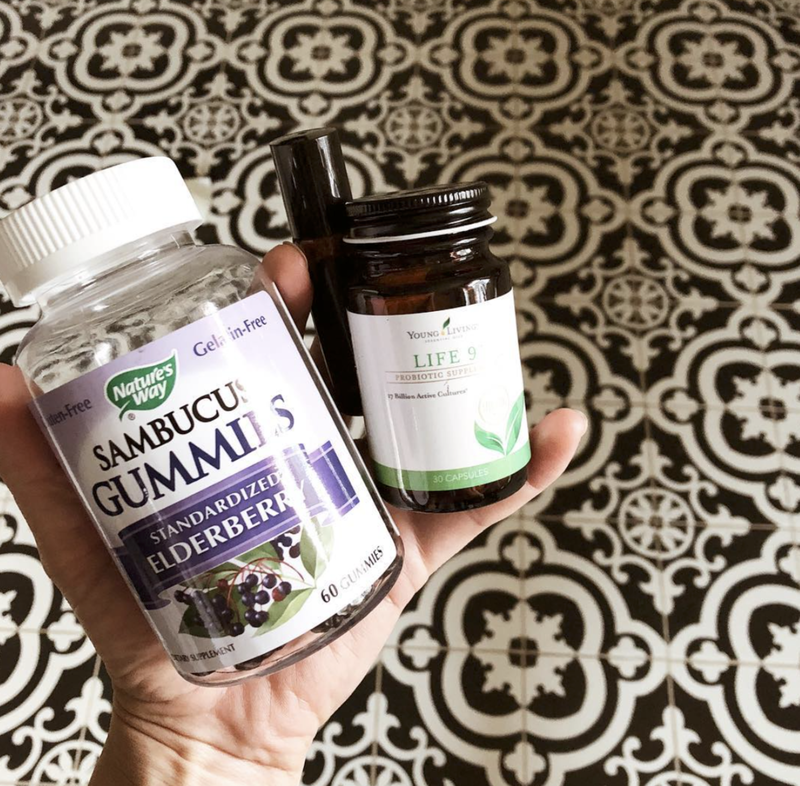 We take elderberry gummies daily that we get from Amazon or our local health food store, but really you should take locally made elderberry syrup to get the benefits of the local honey in it. Vitamin D. Most Americans are low on Vitamin D and it effects a lot in our health. Vitamin D has the ability to improve your mood, increase your energy and increase your immune system. In our home, I take this daily. If you suspect your children are low on Vitamin D, give them some Vitamin D3 gummies from Nordic Naturals. Immune support vitamins. Our children also take a gummy that contains vitamin C, zinc and Echinacea. We get these at Trader Joe’s but they are available in many places. These are extra vitamins and herbs that have the ability to increase immune system function. Any one of those three are good to add to your supplement routine. Essential Oils. Yes, you knew I would mention this right?!?! Essential oils are huge for our health because if used daily (preferably twice a day) they can help increase the immune system. They can also support you tremendously during times of immune distress. We have a homemade roller for our children that contains Thieves, Lemon, Copaiba and Frankincense and we roll it down our kid’s spine daily (Add Oregano for extra oomph and to smell like a pizza). All four of these oils are geared towards immune function and all four even come in the Young Living starter kit. Did you know that simply diffusing the oils can help increase boost your immune system and cleanse the air? YES! Thieves oil is tested over and over again for it’s astounding abilities. Diet. Did you know that your gut is basically your second brain? Or that your gut is actually where your immune strength comes from? If our gut is all wonky, everything else will be this way as well. Eating a clean diet and eliminating sugar is huge for the immune system. We are not perfect here, it’s our weakness towards complete natural wellness. We’re human and the more we know, the more we can do. Try to add items high in Vitamin C and get in the healthy fats and greens that your body needs. Cut back on the sugar your kids are eating, especially if you start to suspect that germs are in the home and runny noses begin. Cut back on sugar and load up on whole foods, oils and supplements. Smoothies. Yes smoothies! This is a great way to load up on fruits, veggies, healthy fats and more by fixing yummy smoothies for you and the kids. Making a strawberry banana smoothie is a favorite for kids, but add in some kale, alfalfa, collagen powder, chia seeds, etc… and give it a boost of nature’s goodness. They will not know the difference! Young Living’s Inner Defense. My husband and I take this the second we suspect that our kids may be sick or if we feel anything coming on. You CAN take it daily for year round immune health, but we use it as more of an emergency supplement to kick the germs out. These are larger capsules so you would likely only give them to adults and young teenagers. This capsule is formulated with the ingredients in Thieves oil and it has the ability to help your body fight off whatever may be invading it. Ningxia Red. This is one of the most antioxidant rich drinks on the market. It is powered by the wolfberry (just look up the crazy benefits from this berry). 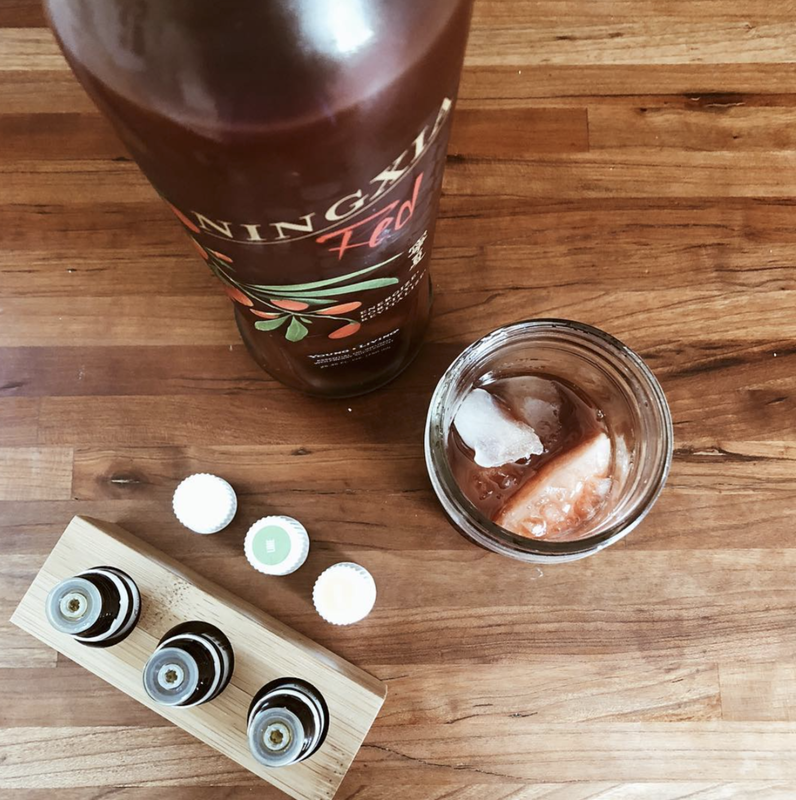 One of the beautiful things this drink can do for you is boost your immune system as well as help with energy levels, cholesterol, blood sugar and much more. A good probiotic. This brings us back to gut health. You want a good probiotic daily to help improve your gut which in turn will improve the immune system among many other things. There are also kids probiotics available as well! Stick to the natural brands. If you’re buying your vitamins and supplements from big box stores, chances are they are full of synthetic ingredients and the gummies are full of corn syrup. Most popular and well known vitamins sold in the big box stores are not as productive in the body as a more plant based vitamin that doesn't contain added synthetic ingredients. In other words, it’s ingredients were all grown in nature and not created in a lab. Browse places like Whole Foods, even Amazon, your local health food store and of course Young Living. Break away from the big labels and big box stores. Don’t run to the doctor. We absolutely love our pediatrician, but from the months of October through March, I try to stay far away from there. If your child has just common cold symptoms or a low grade fever, maybe reconsider running to the doctor’s office where more germs are lurking. Follow your motherly instinct, but if you think it’s nothing to worry about, then stay away. When you see something alarming or when a few days pass by with no progress, then consider turning to your doctor. Until then, do everything you can to make your child comfortable and to support their immune system naturally. We do something called transfer buying basically. Instead of purchasing our supplements, hygiene, beauty, makeup and kids’ products at big box stores, we purchase truly non toxic and plant based products for our family from Young Living. As much as I love winter and the holidays, the germs that come with it are nothing to play with. If you stick to a routine and have good, healthy habits in line for your whole family - then there’s a chance you’ll be a lot healthier and stress a lot less when your child plays with Billy with the runny nose. 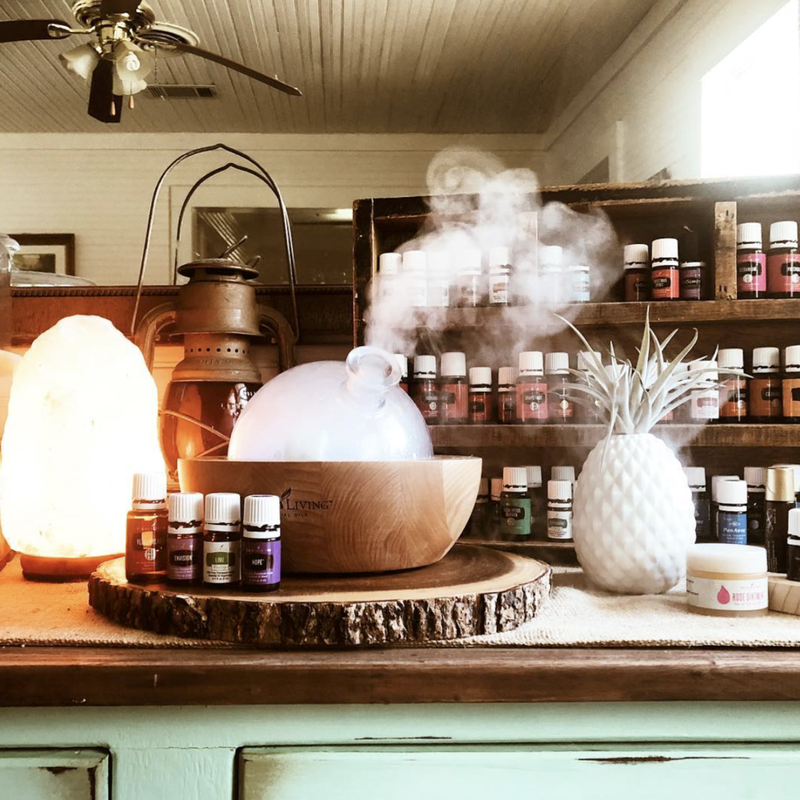 If you’re interested in learning more about protecting your health this fall and winter, or if you’re interested in using essential oils - contact us and consider beginning your journey with our community. We help support each other through these trenches of motherhood, snot noses and cold coffee! I hope that you find this article helpful to help you learn how to navigate this season a tad bit more naturally and hopefully a lot more healthy.